Born and raised in Varna, Pressian Karakostov began his entrepreneurship carrer back in 2001 when he was only 23. He graduated from Flordia Metropolitan University with a BSc degree in Computer Science as well as an MBA. Following his passion for technology, Pressian launched his first endeavor – Phone Arena. PhoneArena.com grew to become one of the top 3 mobile phone websites worldwide with 1,000 published articles monthly and 20+ millions of monthly visits. In recent years, the online advertising industry has been disrupted by technology. Instead of relying on ineffective and sluggish direct sales, publishers increasingly sell their ad space using online platforms for Real Time Bidding. Unfortunately, due to the complexity involved, most independent publishers lack the experience, know-how and time to reach their full revenue potential. PubGalaxy helps publishers by taking care of their monetization needs. It offers a unique combination of algorithms and human guidance through dedicated teams. Thus, PubGalaxy not only yields higher revenues for the publishers, but also allows them to completely focus on growing their business. 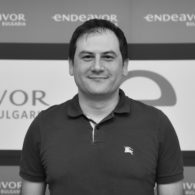 Over the space of just three years, the company has managed to build an extensive customer base worldwide and has been recognized as the Most Dynamic Tech company in Bulgaria for 2015.